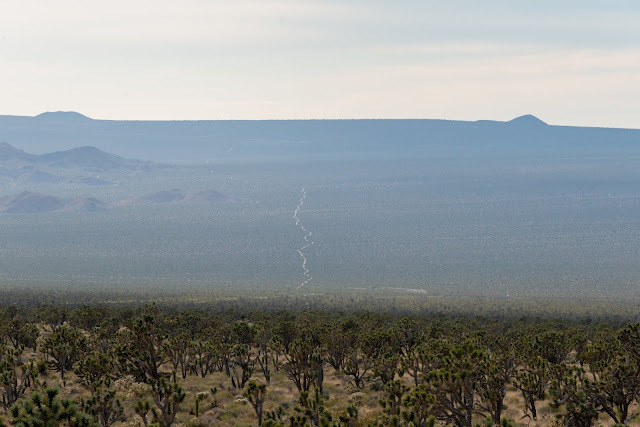 [click on image to expand] The Ivanpah Solar facility creeps across once pristine desert in the northeastern Mojave Desert. 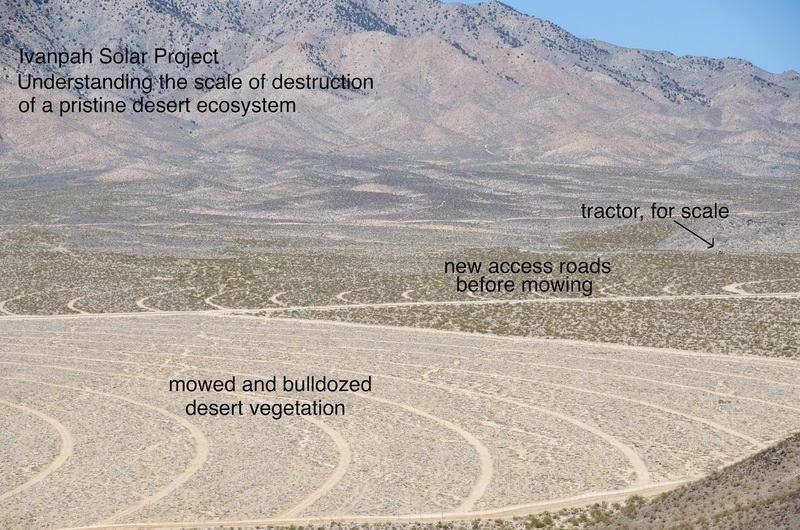 Built in three phases, this photo was taken when desert for only two of the phases had been cleared and bulldozed. 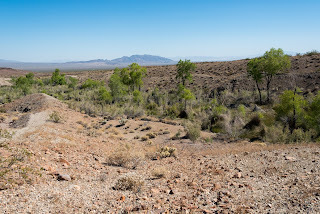 [click on image to expand] A fraction of phase 2 is visible in this photo, identifiable by the missing vegetation. Further in the background, access roads were being carved before vegetation is mowed for phase 3. A large tractor is difficult to spot in the vast expanse of desert to be destroyed. 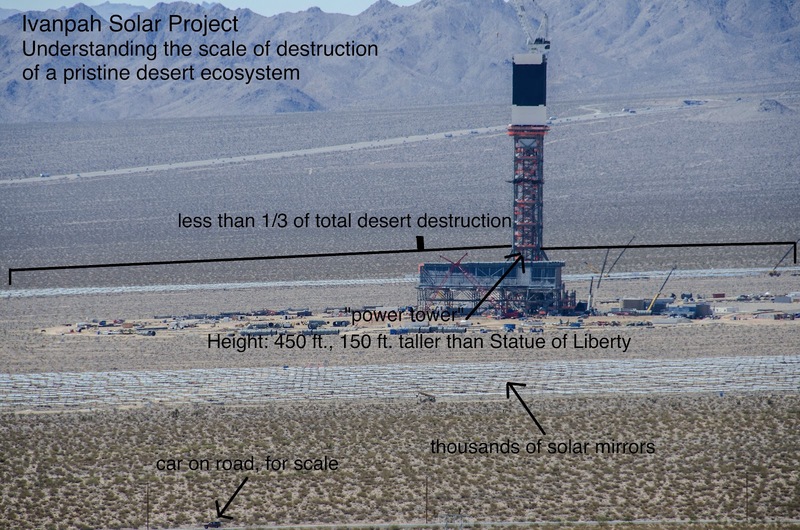 [click on image to expand] This photo shows only part of phase 1, with the "power tower" rising in the middle, and thousands of solar mirrors -- each the size of a garage door -- beginning to blanket the naked desert floor. 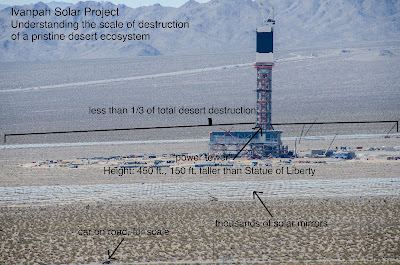 The Ivanpah Solar project is just the beginning. 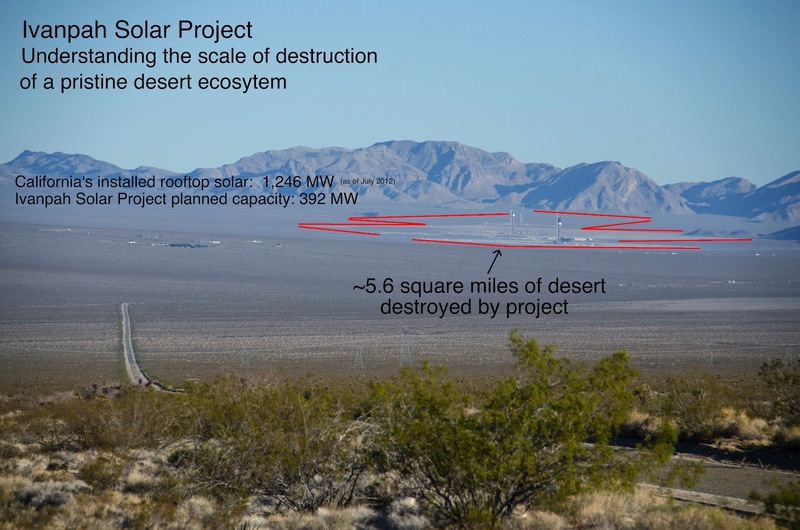 Several other large solar projects are destroying desert ecosystems, and the Department of Interior expects to approve the equivalent of 58 more Ivanpah Solar projects, according to its "reasonably foreseeable development scenario," for a total of over 334 square miles of destruction of ecologically intact desert wildlands. 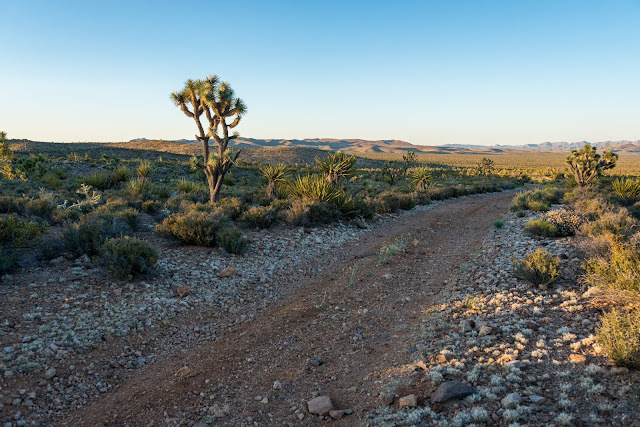 Wind energy projects could destroy and fragment even more wildlands in America's southwestern deserts. 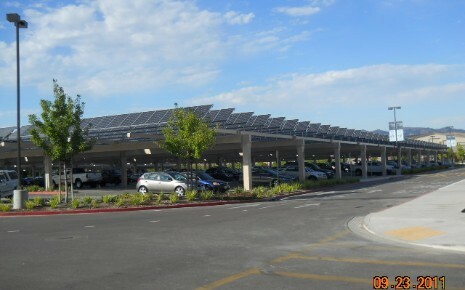 Yet rooftops and parking lots across our cities make much better places to generate clean energy. 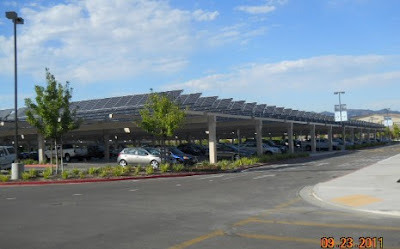 Solar panels cover a parking lot in southern California. I am all for protecting the remaining pristine wild habitats we have but how do you power the cities at night, batteries? that are extremely harmful to the environment, both in the huge energy used and environment destroyed in production and the harm of disposal. coal or gas back-ups? which pollute CO2 causing global warming and countless deaths due to poor air quality. The solar thermal tower projects store heat in liquid salt which can be used to generate power throughout the night. 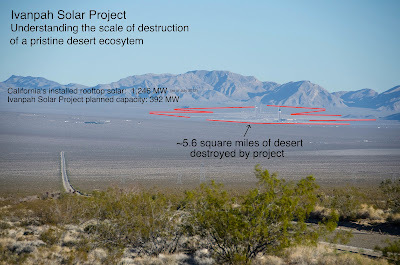 Ivanpah and projects like it are the best solution for 24/7 power until we figure out how to beam energy from solar arrays in space.